Gen. Welsh admitted to the press that there are “a limited command positions to which missile launch officers can aspire. ” Being stuck in dead-ended Air Force careers and posted in the wilderness of central North Dakota, Minot’s Cold War throw-backs — who call themselves “Roughriders” and “Vulgar Vultures” on their website — are trained to fire Minuteman III ballistic missiles at the sea (they can be re-programmed but are targeted on the oceans for “safety”) and, day after wind-swept prairie day, have absolutely no military function or purpose whatsoever. The inevitable if not impending elimination of their useless rockets has to depress what’s left of the launch teams’esprit de corps. Even their civilian commander, Pentagon chief Chuck Hagel, has signed onto a call by the group Global Zero to eliminate all the ICBMs and to eventually discard all nuclear weapons. 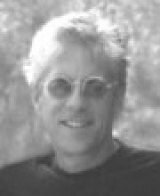 John LaForge, syndicated by PeaceVoice, edits the Nukewatch quarterly newsletter. This commentary was distributed by PeaceVoice, a program of the Oregon Peace Institute, Tom Hastings, Ed.D, director.